We look forward to meeting you at our next event. If you're not already a member, join us today! October 1, 2018 | Meet the New Board for 2018-2019! Midwest SAMPE is run by an all-volunteer board elected by its members. The Board is comprised of dedicated individuals from academia, industry and government. Congratulations to our new and returning board members and a hearty thank you to all of our previous board members. PHILIP KAUFFMANN, Secretary | Research Scientist - Applied Sciences, Inc. 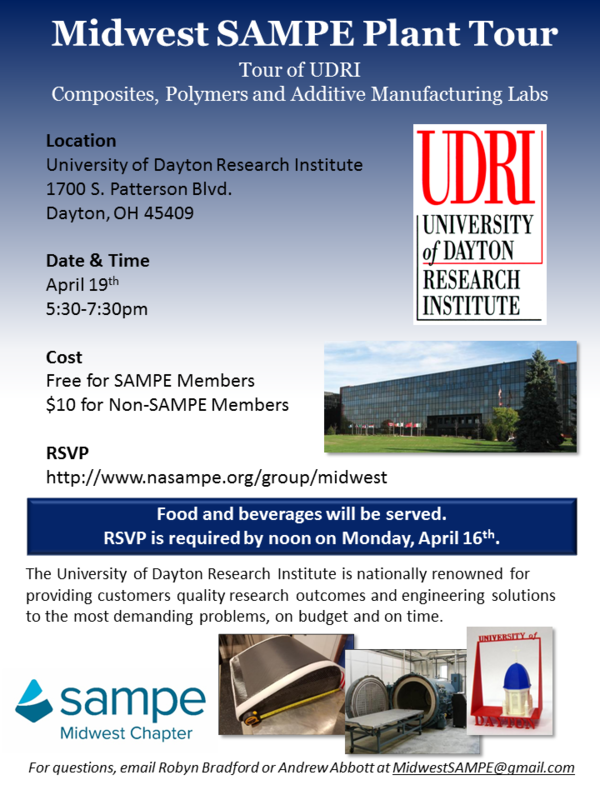 The Annual Student Research Symposium is sponsored by the Midwest Chapter of SAMPE (Society for the Advancement of Material and Process Engineering). The purpose of the event is to showcase original scholarly research conducted by undergraduates, Masters and Doctoral students. The best oral presentations are awarded cash prizes. 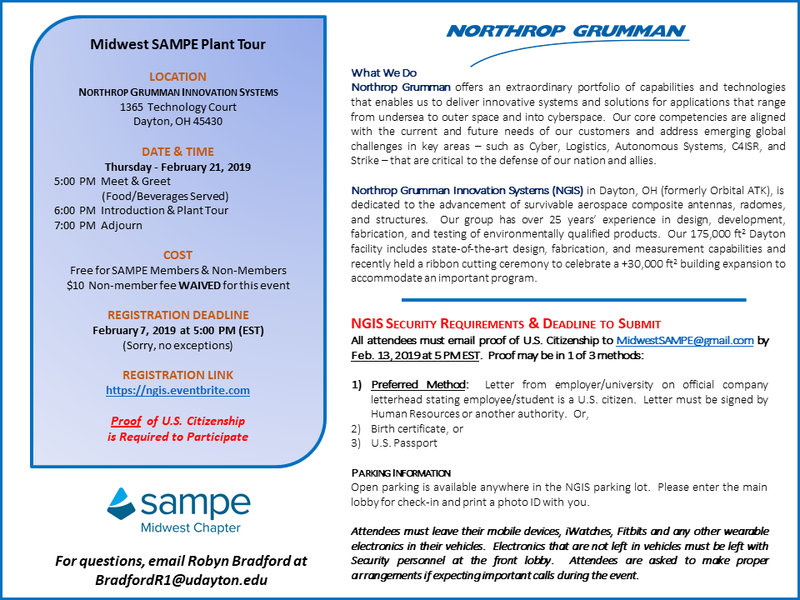 In addition, the 1st place winner in the PhD category receives an all-expense paid trip to CAMX (Composites and Advanced Materials Expo) in the fall to compete at the national level for a chance to present internationally at SAMPE conferences in Europe and Japan. This year’s event was held in West Chester, OH at The WEB Extreme Entertainment where student presenters enjoyed go-kart racing, mini-golf and mini-bowling during intermission (compliments of Midwest SAMPE). 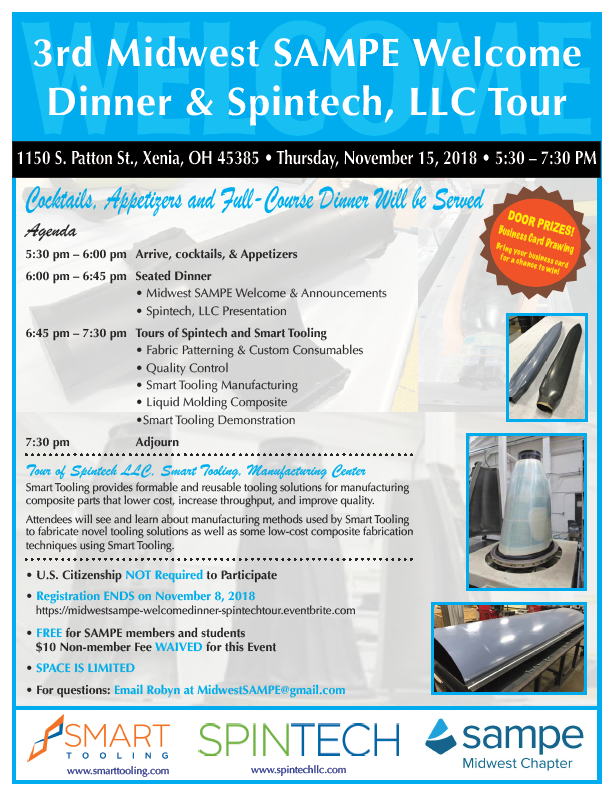 Afterwards, a full course buffet dinner was served followed by guest speaker Ben Dietsch, SAMPE North America President and NONA Composites President. Vendor Night rounded out the evening where companies showcased their technological capabilities and services. Philip J. Kauffmann uploaded a new photo to the Professional Chapters: North America: Midwest group's photo gallery. Robyn L. Bradford-Vialva uploaded a new photo to the Professional Chapters: North America: Midwest group's photo gallery.